Thailand's prime minister on Friday visited a flooded cave complex where rescuers have been searching for 12 boys and their soccer coach missing for six days and urged their relatives not to give up hope. At least one police official initially said men had been electrocuted, but medical workers at the site along with Chiang Rai provincial Gov. Narongsak Osatanakorn said that wasn't the case. Instead, they said a man had fainted while working on a water pump, prompting the scare, and another man had a stomach ailment. 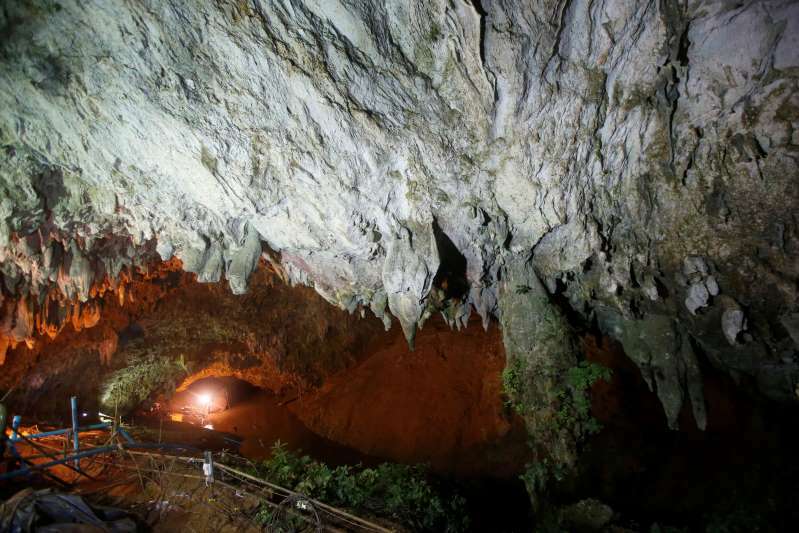 Above ground, four shafts have been located that might allow access to the cave and rescuers were continuing to explore them on Friday, Narongsak said. He said one shaft had showed promise, leading to a chamber below, though it wasn't clear if it connected to the main cave. Officials said they were also dropping "care packages" into the shafts in case they reach the cave. The packages contain food, beverages, a phone, a flashlight, candles and a lighter. They also include a map of the cave.